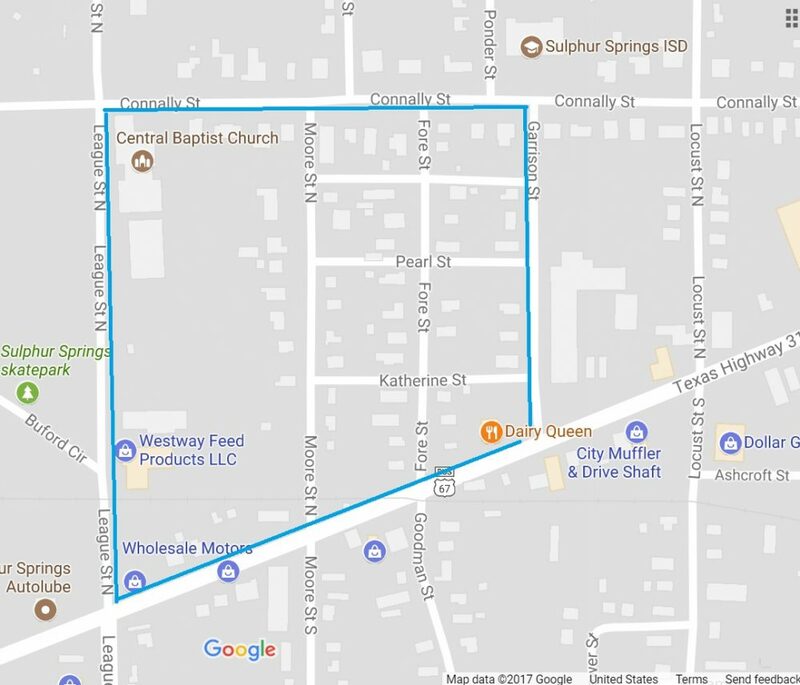 In the rough area outlined by blue, City of Sulphur Springs crews will be interrupting water service at midnight Wednesday night. Service should return before 7AM Thursday morning. The area affected will stretch from Main Street and Garrison to Main and League Street to League and Connally Street and then to Connally and Garrison. Some surrounding areas could be affected, according to city officials. The plan tonight Wednesday, August 9, 2017 is to tie the new line on Moore St onto the existing water line.